Just outside Columbus, Licking County, Ohio offers just as much in sports as it does in the way of scenic Midwest charm. 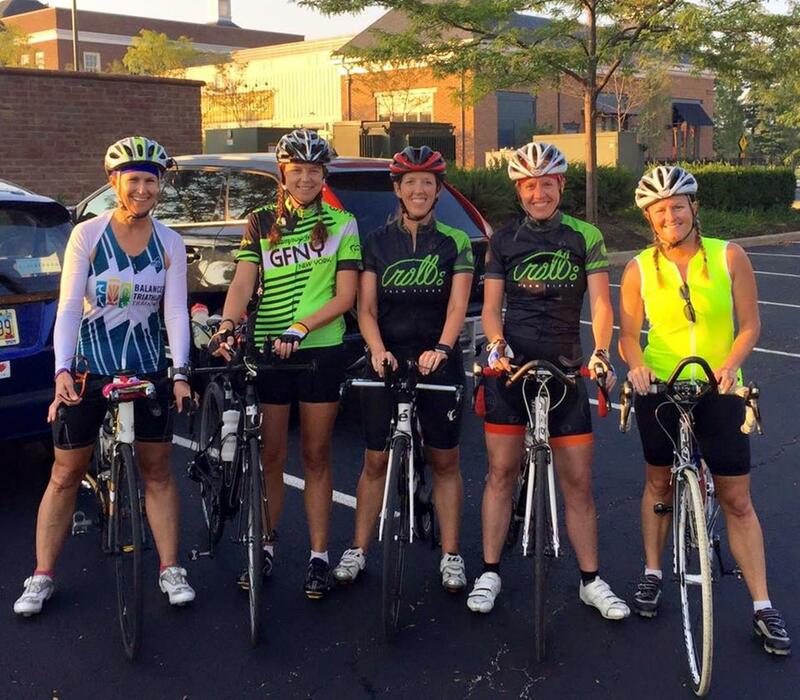 Planning to take your team on the road? We know that organizing and executing a successful trip can be a challenge – but it certainly doesn’t have to be. Whether it’s hosting a tournament, training at a new location or putting together a summer league, there is one item at the top of everyone’s wish list: the perfect location. That’s where Licking County, Ohio, comes in. Being just outside the big city means you have access to the excellent facilities, services, and attractions that will make your trip a success. And with experience hosting major events such as NCAC Track & Field Championships, hockey tournaments and the American Junior Golf Association Tournament, just to name a few, it’s no secret that Licking County is the place to be. What can our group do in Licking County? When your athletes aren’t hard at work, there is plenty of fun that awaits everyone in Licking County. Not far from the hustle and bustle of nearby Columbus, visitors head to this scenic county to soak in some Midwest charm, and one must-see place is The Works: Ohio for History, Art and Technology. This interactive center is filled with art galleries, a glass studio, history exhibits, science labs, a science theater and a wood shop. And if that wasn’t enough, Licking County is also home to another wonder, the Newark Earthworks, the largest geometric earthen enclosures in the world, believed to be built from 100BC-500 AD. These sights just scratch the surface of all there is to see and do in Licking County. For those really looking to experience nature, be sure to check out the gorgeous Dawes Arboretum and Blackhand Gorge State Nature Preserve. And for a taste of Licking County’s arts & culture scene, take in a show at the Midland Theatre or marvel in the craftsmanship at the National Heisey Glass Museum. 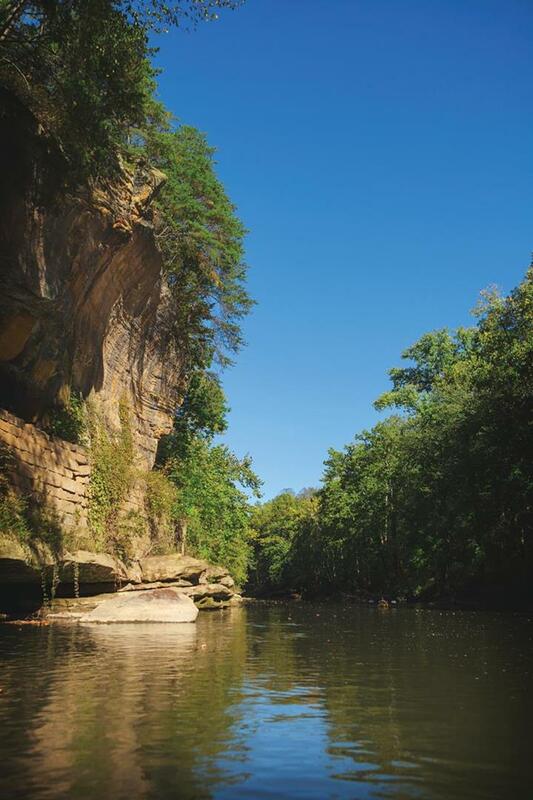 To see more of what Licking County has to offer, check out the Travel Guide. The go-to venue for any baseball team visiting Licking County, Don Edwards Park can hold up to 2,500 fans and is home to the Licking County Settlers. The park is no stranger to hosting large-scale events and is the current host of the Great Lakes Summer Collegiate League. Whether you’re looking to host a league, tournament, competition or just get in some extra practice on the ice, look no further than Lou & Gib Reece Ice Arena, a premier skating facility. Updated facilities and plenty of experience hosting large-scale events mean you can rest assured that your group is in good hands. If you have a soccer team traveling to Licking County, be sure to contact the Newark Area Soccer Association (NASA) for up-to-date information on fields, sponsors and hosting. The association hosts leagues and camps along with state and regional games for various ages. The high school has top-notch facilities that regularly host regional and state matches in everything from baseball to wrestling. If you’re looking for an ideal space to host nearly any sporting event, consider Newark High School for quality fields and gym space. Night of Thunder and Mopar Nationals are two famous events held at this raceway each year, and it is one of the state’s premier speedways. Drag racing enthusiasts enjoy this state-of-the-art track where events are held regularly. 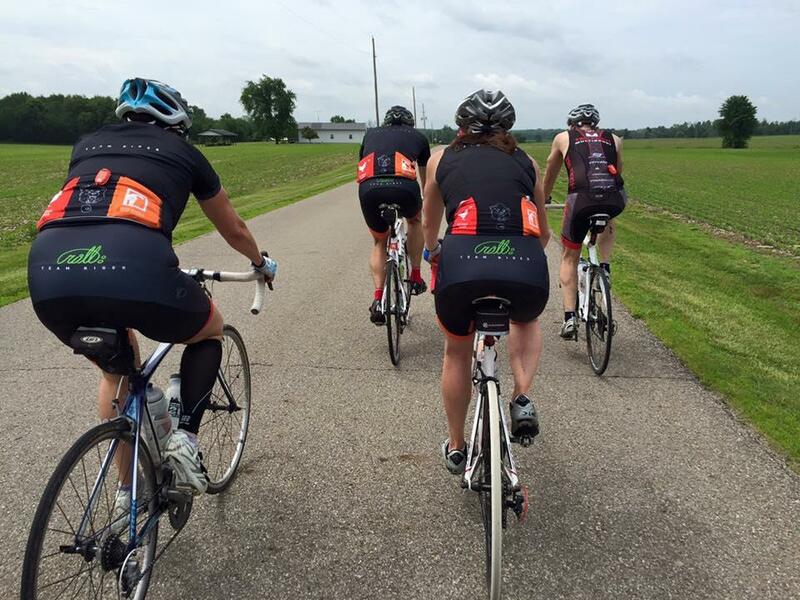 What better way to get out and enjoy the scenery of Licking County than on the seat of a bicycle? Whether you have a group training for a major cycling event or just looking to get in some additional cross-training, there is no shortage of routes to explore. Check out this map to see just where the county’s paths will take you. Ohio State’s Newark campus can offer groups of various sizes the space and facilities they need for their next sporting event. 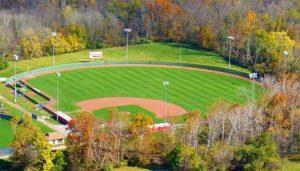 The athletic facilities at this well-regarded liberal arts school are top-notch and include Deeds Stadium, Trumbull Aquatics Center, Mitchell Fieldhouse, Barclay-Thomsen Field, baseball & softball fields and tennis courts. There is certainly no shortage of space for your group, and the university regularly hosts NCAA events. With 18 golf courses dotting the landscape of Licking County, there are nearly 325 holes for you to enjoy. This means plenty of space to practice on all sorts of terrain with holes of varying distances and skill levels. Licking County is home to the No. 1-ranked public golf course in Ohio, The Virtues Golf Club. For a complete listing of Licking County courses, check out the Travel Guide. Licking County is known for its quiet Ohio charm, but this doesn’t mean it’s difficult to access from the big city. Being just outside the city of Columbus, you’re never far from the airport or major highways. By Car: Licking County is just a stone’s throw from Columbus, 40 miles to the east. By car, take I-670 E out of the city and follow it as it becomes OH-161, and you will soon arrive at Newark, which is the heart of Licking County. The area is a 2.5-hour drive from Cincinnati, Cleveland and Pittsburgh. By Air: Port Columbus International Airport is only 35 miles from the center of Licking County, making it convenient to reach this part of the country from just about anywhere. Land in Columbus and take advantage of rental car options to make getting around a breeze.